With a vast array of broadly dispersed mineral resources, Africa holds a wealth of opportunity for investors, mining organizations and the people that call this diverse and expansive continent home. 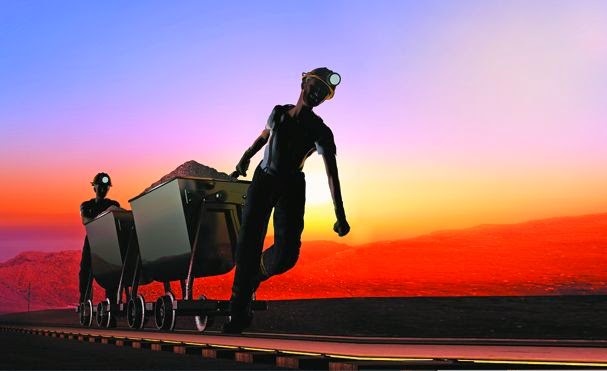 While there are other industries, among them tourism and telecommunications, that are growing in stature as drivers of Africa’s economic growth and development, none has the same depth of potential to generate revenue, create employment, provide sustainable economic and social benefits and attract large scale, long-term international investment to the continent as mining. In fact, for many African countries income from metals and minerals can make up the majority of total export earnings – in some cases up to 90%. That said, unlocking the mineral wealth of Africa is not without its significant challenges, not least of which are a glaring lack of infrastructure development, perceptions of corruption and unfair licensing practices, and the high capital costs of establishing or expanding a mining presence in what are predominantly developing countries. With its extensive network of leading legal firms spanning 30 African countries, Lex Africa affords the international business community access to an established pool of skilled and reputable lawyers, all of whom strive to facilitate trade and investment in the continent through best legal practice. Many of these professional law firms work very closely with the various stakeholders in mining in their countries – from government departments and associations to exploration and extraction firms and established miners – in an effort to help address the challenges facing the industry and transform these into opportunities for the benefit of all parties. According to John Ffooks, of John W Ffooks & Co in Madagascar, the primary challenge facing mining in that country, and in the majority of Francophone African regions, remains a significant lack of infrastructure. Obviously, mining is infrastructure intensive and in a country where there has been little or no investment mining houses and investors face potentially massive capital outlays before their investment into mining can even begin to deliver returns. Ffooks states “Many African countries are still not politically stable and the possibility of a change of government, with the resulting turnaround in mining policies, can be very off-putting for a prospective investor.” However, he is quick to note that, while most people assume that corruption and political interference are the primary challenges, this is not always the case because of the attitude in the boardrooms of the majors and the large juniors is just a blanket "no" to bribery and corruption"
Nigel Shaw, partner at Kaplan & Stratton in Kenya echoes Ffooks’ concerns regarding political risk as a key challenge facing mining in Africa. According to Shaw, these political challenges become particularly evident when mining companies that have been in business in Kenya for a number of years are unable to have their licenses renewed due to their unwillingness to stoop to unethical behaviors. According to Ziga for some time now Botswana’s legislation has placed mineral rights in the hands of government, which means it has worked through the learning curve currently facing many other countries and resolved the political issues surrounding mineral ownership by the state. According to Koep, it is not this requirement for empowerment that creates a challenge, but the general lack of understanding by government as to how to facilitate it in an equitable way, without creating a perception of corruption or unfair treatment. In Nigeria administrative delays are also a key challenge to the development and growth of the mining industry. According to Osayaba Giwa-Osagie of Giwa-Osagie & Co, the time frames involved in obtaining or renewing mining or exploration titles are dampening enthusiasm for mining and limiting the industry from realizing its full potential. Giwa-Osagie also points to difficulties in raising finance for projects as a key challenge in Nigeria. “While investors are aware of the potential for returns in the oil and gas, telecommunications and banking industries in Nigeria, few fully understand the long-term wealth generation opportunities and potential inherent in mining.” He does point out however, that this situation is rapidly changing, particularly now that the government has identified a number of minerals and metals as strategically important to the Nigerian economy. “The mining sector is becoming structured, the political situation in the country is stabilizing and good fiscal and tax incentives are being put in place to promote mining, “says Giwa-Osagie,“ all of which augurs very well for mining in this country going forward. In South Africa, stakeholders in the mining industry are finding their biggest challenge coming from government quarters – albeit in a very different form to most other African countries. Van der Merwe points out, however, that if it is correctly and collaboratively implemented, the revised charter will have significant positive implications for South Africa’s mining industry by helping to improve efficiency in the Department of Mineral Resources, root out corruption, and ensure that the country remains an attractive destination for prospective mining investors. In Zambia a primary challenge facing the mining industry applies to the ability of that industry to contribute towards the socio-economic development of the country. That’s according to Charles Mkokweza of Corpus Legal Practitioners in Zambia, who points to the recent surge in prices of certain minerals and metals as placing a particular burden of social uplift on both industry participants and government. While these comments by Lex Africa members confirm that mining in Africa clearly still faces many challenges, none of these are insurmountable and many are already in the process of being addressed. Perhaps more importantly than the challenges outlined here is the general sense of optimism and excitement within much of the African mining industry, most of whom are confident that the soil in Africa is being steadily prepared, and the seeds planted, from which will soon emerge the stellar growth in mining in Africa that the world has long predicted will occur.